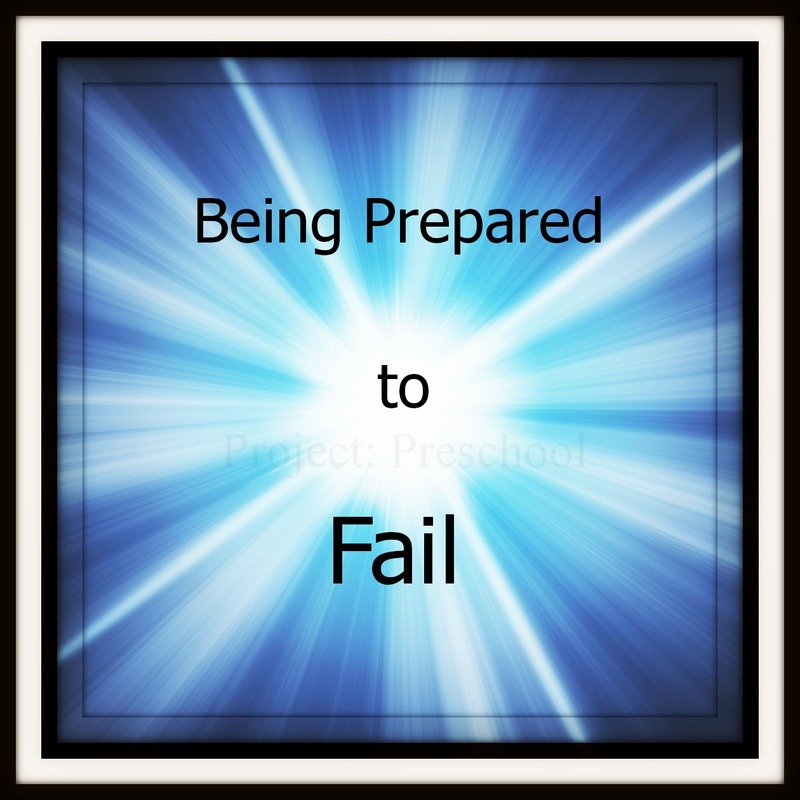 But a real willingness to take risks means being prepared for failure. And failure might come in the form of lost funding, an article written about you in the local newspaper mentioning a “project gone bad,” unflattering data, and a million other possible outcomes. Being willing to take a risk shouldn’t empower you to implement wrong-headed, half-baked ideas under the guise of an “innovative spirit,” but you should be prepared to fail. Which is fine, because education has been failing long before you got here. Yes, I had to smile at that, because I have found that the further into this project that I get, the more I seem to take myself entirely too seriously. And worry about failure. “What if the ideas that I am putting forth in this workshop/lesson plan aren’t understood?” or “What if I can’t get my point across?” Some of the ideas that I am presenting are radical by the standards of traditional education, but have been talked about in the realm of progressive education for a long time. A lot of the progressive ideas have been misconstrued and misrepresented by traditionalists for years – one of the hardest parts of my early research was educating myself beyond the myths that have been laid out there. And if that was one of the hardest things for me to do – change my mindset – how difficult is it going to be for me to change the mindset of others? The key for me was being able to take the ideas that I encountered directly into the classroom and try them out for myself, thereby seeing the change and results for myself. I have tried to include this feature in my workshop so that educators can take the ideas that I present directly into the classroom and use them for themselves. Of course, it won’t be easy at first – change never is easy – but with support it can work. Of course, I need to mentally prepare myself for failure because it could happen. But this quote reminded me to stop taking myself and failure quite so seriously, because education has been failing long before I got here! This evening kiddo was drawing with a pencil, when she somehow came up with the idea to measure herself with the pencil. “I’m seven pencils tall,” she informed me. She measured me, my boyfriend, her sister, and pretty much everything in the house. I’m not sure how she came up with the idea to measure things with the pencil, but it made me think about how amazing children’s brains are, and how they will come up with the most incredible ideas on their own. She did not receive any prompting from me to measure anything, although her sister told me that she may have gotten the idea from an episode of Curious George where he measures himself with a stick of licorice. Even if that was where she got the idea, she hasn’t seen that episode recently but she still made the connection between measuring with a licorice stick and measuring with a pencil. Kiddo has constantly amazed me with the things that she learns – things that I have no idea where she learned them. She is much more observant than I give her credit for, and she figures out a lot of things on her own. Watching her, as well as the children that I teach, makes me realize that children know more than we think they do, and they are much more capable than we think they are. That is one of the reasons why the constructivist philosophy in education is so appealing to me. In it children have the freedom to express their own ideas and make connections, such as the one my daughter made with the pencil. If she had been prodded by me to measure something with the pencil or a ruler, she probably wouldn’t have been as enthusiastic as she was about measuring everything in the house, and I may have tried to teach her at a time when she wasn’t as receptive to learning the process of measuring something. As it was, she did just fine measuring chairs, books, and people on her own. Of course, since she is four years old, her measurements weren’t all that accurate, but she had the basic idea of how to measure something and to me that is all that is important at four years old. No doubt she will figure the rest out later. Today was an exciting day for my class. Not only did our home living receive a makeover (it looks much more realistic now!) but we started our first child-directed project today! When I arrive at work, the first thing my class does is go outside. I was somewhat hesitant about taking them outside today because it was pretty cold, but I figured that a little outside time was better than none, so we loaded up with containers to collect items for nature-inspired art and out we went. We took the ice inside and put it in a plastic tub. I told the kids that it was going to change, and asked them how they thought it would change. The dominant opinion was that it was going to change colors. They kept watch over the ice for the majority of the morning, convinced that it would turn brown (there was a LOT of dirt on that ice). It wasn’t until after nap time that most of the ice was melted and we got to see that it had turned into water. Tomorrow we are going to make our own ice, and I am going to show the kids that the water has to get REALLY cold before it will turn into ice. We will leave one ice tray in the classroom, put one in the refrigerator, and one in the freezer. I have never had a qualm about having insects in the classroom. I’ve grown up catching tarantulas in my yard, after all. But I ran into these posts (second post here) about a class learning about spiders, and I realized how much I had limited my class’ learning about the same thing! Wow, I have a lot of respect for this teacher and how she taught her students. Notice how the feeding of their turtle turned into a whole new exciting learning experience! I am so loving this research! There is no limit to where the class will take you and the things that you will learn!